His change of heart was most likely for the best. A refreshing presence on the tightly controlled promotional circuit, the sixty-four-year-old is the sort to say what he thinks and damn the consequences. Such nonconformism is reflected in his CV, which veers from Oscar bait (Good Will Hunting) to high-camp frivolity (Mamma Mia!) and superhero franchises (Thor) to micro-budget indies (King of Devil’s Island (Kongen av Bastøy)). “I like to be all over the place,” he says. If ABBA launched Scandinavia as a major pop industry player, then the region’s television is now just as influential. Nordic Noir casts a long, dark shadow over today’s commissioners. “If you look at the stories, they’re pretty banal,” muses Skarsgård. “It’s the cultural difference that’s exciting. Lisbeth Salander is a fantastic character, with a child’s vulnerability but a hardness and coldness that makes her stronger than any man. It’s all in good humour – Skarsgård’s mood only darkens twice. He continues in this vein for a few minutes. Stellan Skarsgård might have been a terrible diplomat, but he’d be an inspiring political leader. As it is, we’ll have to make do with him doing what he’s best at: being a very fine actor playing a very troubled man. 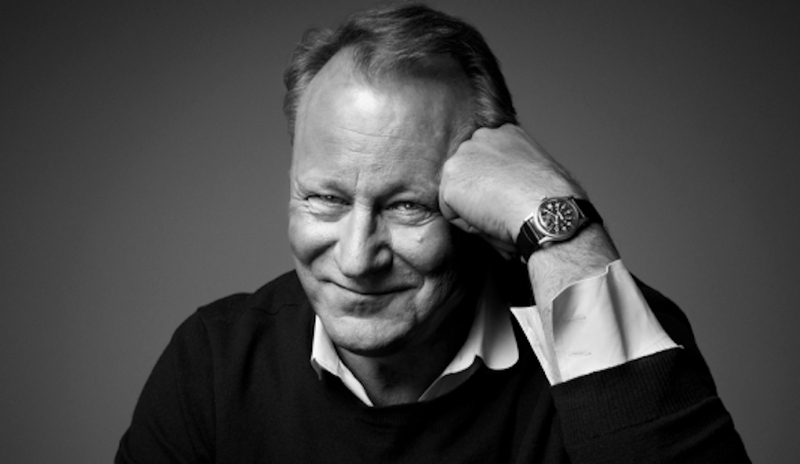 STELLAN SKARSGÅRD is a Swedish actor whose credits include Mamma Mia! and The Girl With the Dragon Tattoo. GABRIEL TATE is a former journalist for Time Out. He now writes for The Independent.